Genetically-engineered seeds, proliferated across the globe by multinational agribusiness conglomerates like Monsanto, are designed to withstand dousing by glyphosate and other biocides in order to terminate insect, fungus, and weed nuisances. Benedetti’s team focused specifically on Glyphosate and 2,4-D, the two top biocide components in American-biotechnology farming culture. Glyphosate is the prime ingredient in Monsanto’s Roundup products, while Dow Chemical’s 2,4-D is a potent herbicide that was also used in making Agent Orange, the chemical used by the US to devastate resistance during the Vietnam War. Last spring, Brazil’s public prosecutor sought to suspend use of glyphosate based on its toxic effects. Studies have linked glyphosate to a fatal kidney disease that has affected poor farming regions worldwide. Just last week, Monsanto won final approval from the US for its new genetically-modified soybeans and cotton, designed to withstand a dominant biocide that fights weed resistance built up as a result of the company’s glyphosate-based Roundup herbicide already in use. Monsanto reported an earnings drop of 34 percent in its first fiscal quarter. The company reportedly lost $156 million in the fourth quarter of last year due to a one-time payment made to settle an environmental legal case. As multinationals such as Monsanto and Dow Chemical have sought strict standardization in agriculture markets the world over, the corporate leviathans, especially the former, have become the target of considerable protests and demonstrations. Companies like Monsanto market their own patented seeds that, given their genetic modification, can be doused with biocides to kill pests and weeds, and which can jeopardize long-term health of the soil and the necessary biodiversity of a local environment that allows for natural pollination and, thus, food security. In May of last year, activists on five continents around the globe, comprising of 52 nations organized resistance under the ‘March against Monsanto’ umbrella. Protests positioned against Monsanto and involving other corporate-food issues occurred in around 400 cities worldwide, according to reports. Just this past weekend, more than 120 organizations joined the fifth annual ‘We are Fed Up!’ demonstration in Berlin to focus on the increased importation of American farming practices – such as genetic modification, frequent antibiotic injections for animals, and chemical meat treatments – following the implementation of the controversial Transatlantic Trade and Investment Partnership (TTIP). Protests have raged most furiously in Europe, where the EU recently approved a law that would let its nations ban genetically-modified organisms even if the EU had deemed them safe. Monsanto said last year it would not try to get any more GM crops approved in Europe given the consistent pushback. 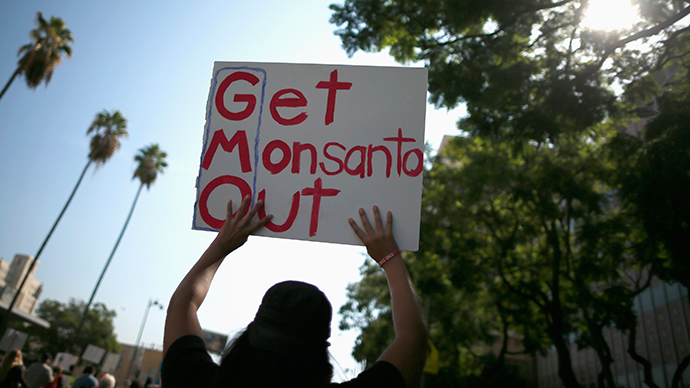 Anger and unrest against Monsanto’s stranglehold has spread also spread to South America. In Argentina, protests have occurred in resistance to the company’s potent biocides used in tandem with their genetically-engineered seeds. In Brazil, farmers have called on Monsanto and other producers of pest-resistant corn seeds to reimburse them for money spent on additional biocides when the bugs killed the crops instead of dying themselves, speaking to the biocide arms race involved in using GM seeds. Brazilian soy exporters are also tangling with Monsanto over seed royalties. In Central America, Guatemala’s highest court suspended in September a controversial 'Monsanto Law,' a provision of a US-Central American trade agreement, that would insulate transnational seed corporations considered to have “discovered" new plant varieties. On its home turf in the United States, Monsanto has worked diligently with other multinational biotech, agribusiness, and food production companies to beat down state-level proposals to simply label whether food is comprised of GM ingredients. The most recent example came in the state of Oregon, where a November ballot initiative to require GMO labeling was narrowly defeated in what became the most expensive ballot measure in the state’s history. The likes of Monsanto and Dupont flushed more than $21 million into the anti-labeling campaign, dwarfing the $9 million raised by proponents. The company has sued Hawaii’s Maui County for passing last year that bans the cultivation of genetically modified organisms. Monsanto’s St. Louis headquarters have been the target of mild protests, especially during shareholder meetings. Meanwhile, agribusiness allies on Capitol Hill are pushing new federal legislation, the Safe and Accurate Food Labeling Act, that would standardize food labeling, effectively killing popular state-based efforts to pass labeling laws.